Creating layered cocktails can be a difficult task if you are not an expert. 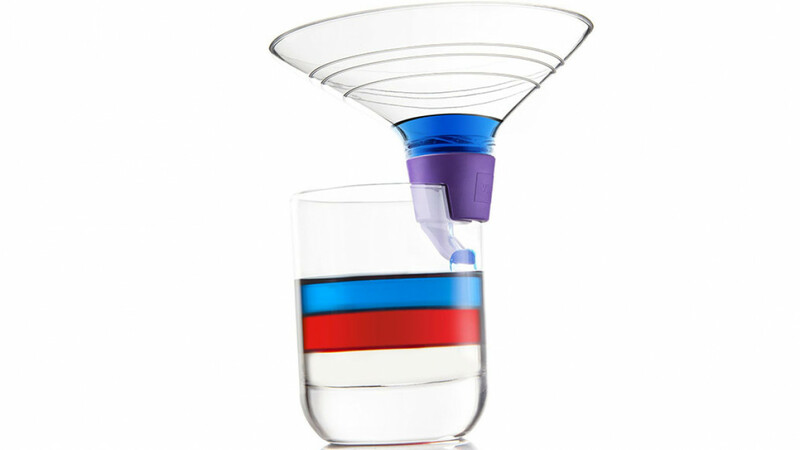 With this great, easy to use tool you can now easily create layered cocktails perfectly every time. There is no need to tip out the ones that don't work and start over which can be wasteful and very frustrating. It is designed to slow down the flow of fluids in order to create perfect layers. Even if you have never made a layered cocktail before you will find this easy to use and be able to create perfect professional looking cocktails.